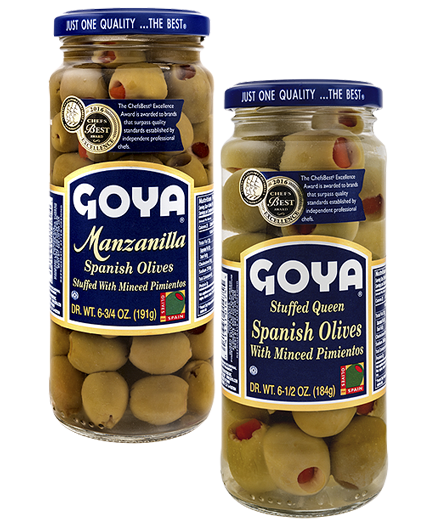 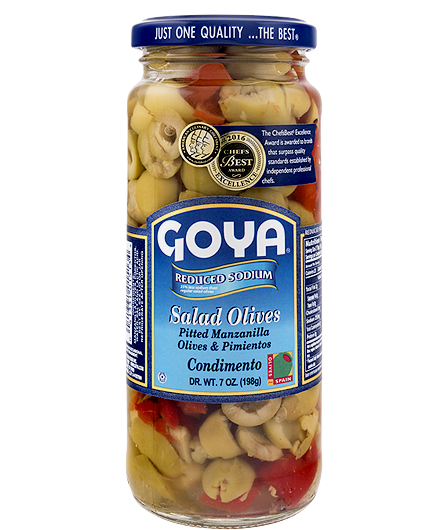 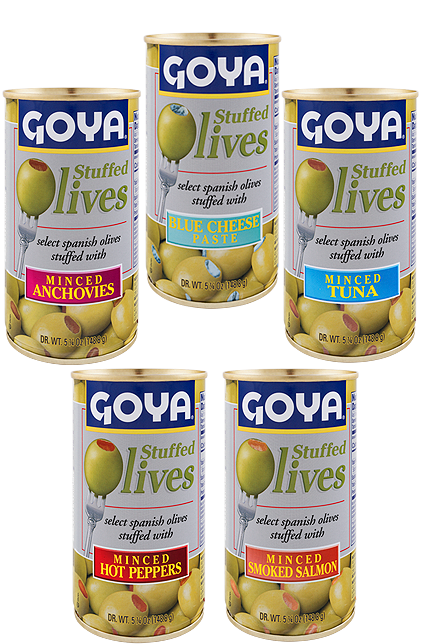 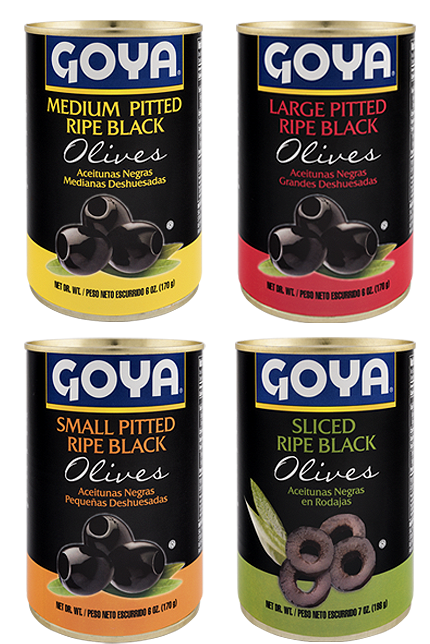 To prepare GOYA® Salad Olives, we use our best olives and natural roasted red pepper. 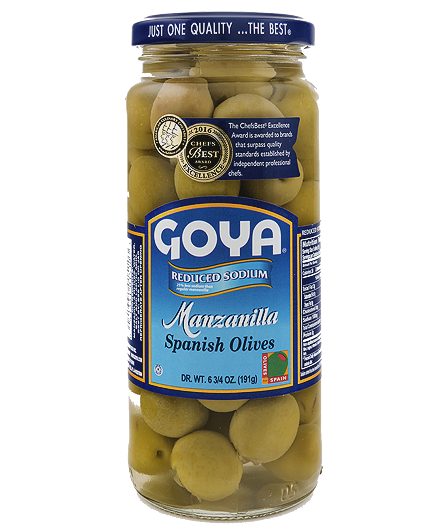 Mainly used in salads and picadillos, or minced salads, GOYA® Salad Olives can also be used in meat and vegetable stews and rice dishes, giving them an extra kick of flavor. 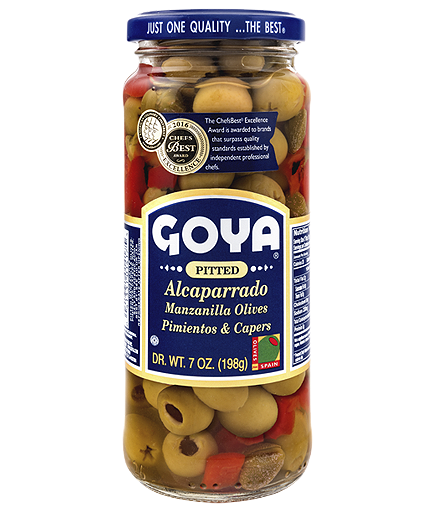 This healthy, nutritious condiment, imbues your casseroles and salads with intense flavor and aroma. 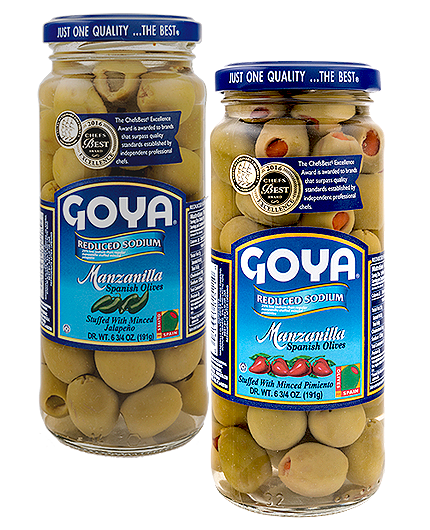 We package Salad Olives GOYA® with the two most prized varieties of olives in Spain, Manzanilla and Queen (Gordal variety) olives. 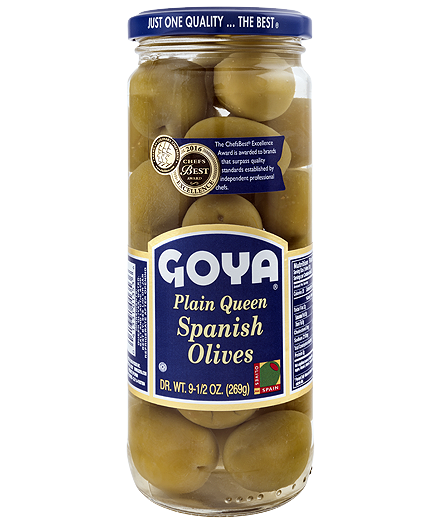 With the latter of the two, of higher caliber, we put forth Jumbo Salad Olives. 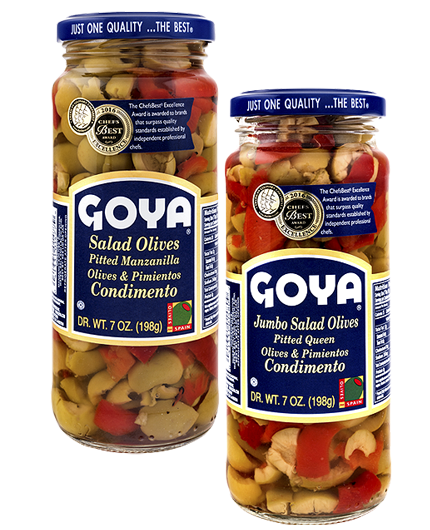 GOYA® Salad Olives are the best you’ll find on the market, as they are prepared with natural roasted red pepper, while other brands use red pepper paste to make them. 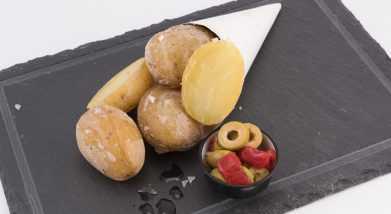 Roasted potatoes with olives and pimientosElaboration: In a clay pot, place potatoes seasoned with salt and pepper, garlic and rosemary with GOYA® Extra Virgin Olive Oil and bake them at medium heat for 25 minutes. 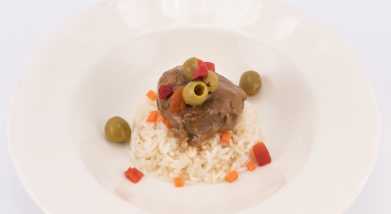 Meat with Rice and Salad OliveElaboration:Salt and pepper the meat sliced and fry with the heat high in a pot. 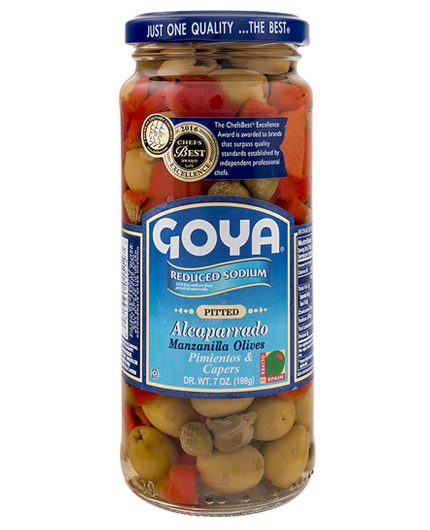 Add vegetable sauce and diced carrot.